Hillary Clinton's concession speech was a call for getting real. 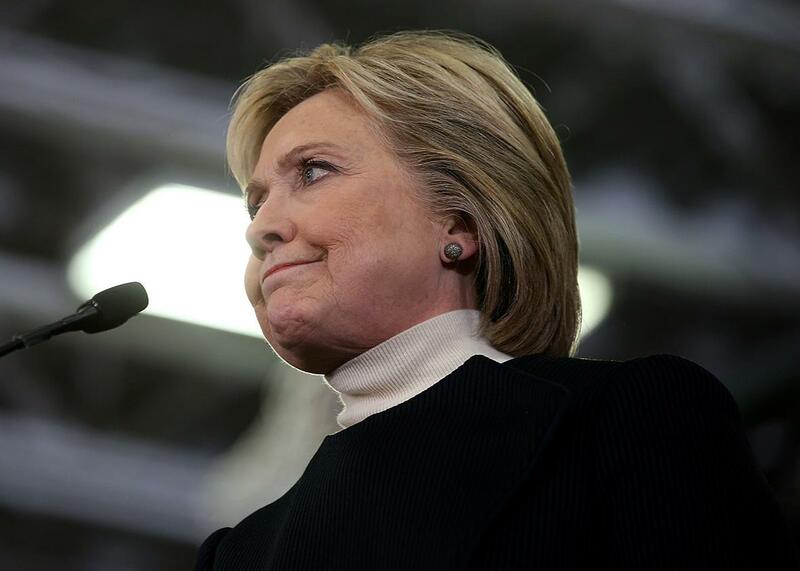 Hillary Clinton delivering her concession speech in New Hampshire on Tuesday night. Hillary Clinton’s impressive concession speech Tuesday night, which followed Bernie Sanders’ even more impressive win in the New Hampshire primary, was a bracing call for getting real. Clinton is making a version of the case she made against Barack Obama in 2008: Voters may be inspired by her opponent, but they should vote for her if they actually want change to occur. The argument didn’t quite succeed in 2008, although Clinton and Obama battled to what was nearly a tie. Against a weaker (if surprisingly formidable) opponent this time, will it be enough? In her speech, Clinton mentioned Flint, Michigan, and health care, along with a couple other old standbys, and acknowledged that voters were right to be angry. But rather than appeal emotionally to that anger, she urged them to be pragmatic, saying that people should be “hungry for solutions” and labeling herself the “best change-maker.” It was a clever use of a key Obama word, and it highlighted her argument: If you want change, don’t rely on hope. What made the speech better than many of her previous efforts—I’m not including her Goldman Sachs speeches, since we haven’t seen those—was that she mixed this practical approach to leadership with a surprising amount of heart. “I know I have some work to do, particularly with young people,” she intoned. “Even if they are not supporting me now, I support them.” This reference to her low levels of support from Kids These Days led to several other relatively heartfelt lines about her awareness of “what it’s like to stumble and fall.” (Against Obama, Clinton had her best moments when under attack or when voters were reminded of her past troubles.) Clinton also mixed in a passionate appeal for racial justice of the sort that neither she nor any candidate would have included eight years ago. In all, it was a strong performance, but it failed to resolve doubts. Clinton has had several strong debates, she has given several impressive speeches, and she has released an impressive set of policy proposals. She occasionally seems to have transcended her previous flaws as a candidate and public figure. But then there is the constant stream of stories about possible staff shakeups; about Bill misbehaving, or speaking out of turn; about a coziness with Wall Street that rightly makes Democrats squirm; about emails. Her argument for experience and pragmatism should be enough to get her past Bernie Sanders, but mainly by default.